Follow Us! 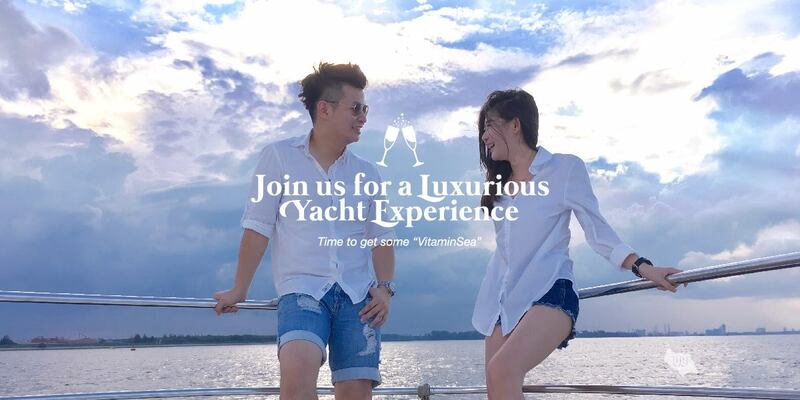 Let's Enjoy a Tranquil Vitaminsea Trip with Elly Million Yacht! 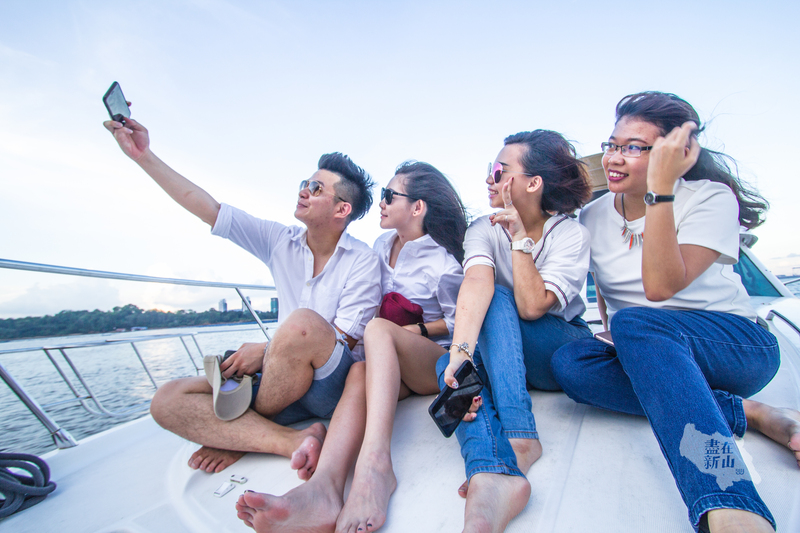 Join Us for A Fun-filled Luxury Experience With Elly Million Yacht! 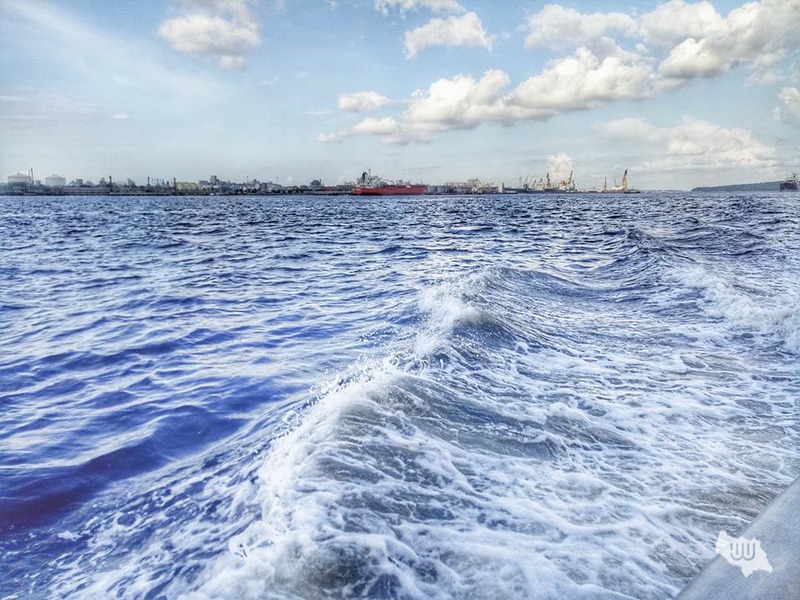 Tranquil sea breeze, coastal sunshine and a bunch of fabulous friends and family are just perfect combination to get out of the hustle bustle of the city. 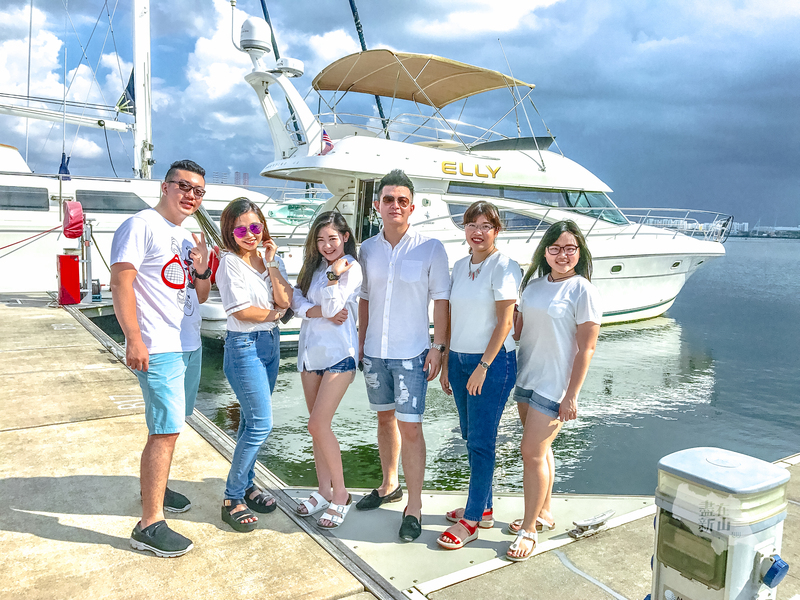 Special thanks to Million Yacht Service for providing their very own Elly Yacht to sail us through an astounding Yacht Party experience right here in Senibong Cove JB! 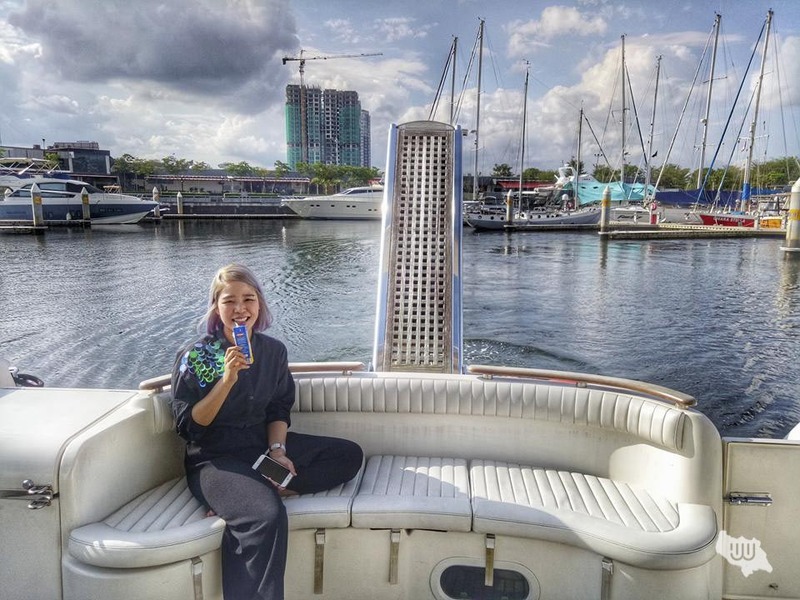 Since Yachting is slowing becoming incredibly popular around us, we have decided to give you a helping hand to guide you through the Yacht party planning and what you can do with Elly @ Million Yacht Service! 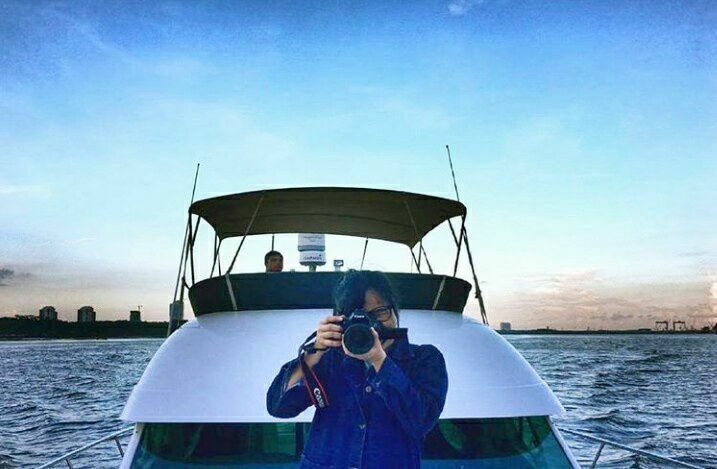 Million Yacht Service provides private Yacht charting in Senibong Cove, Permas Jaya. 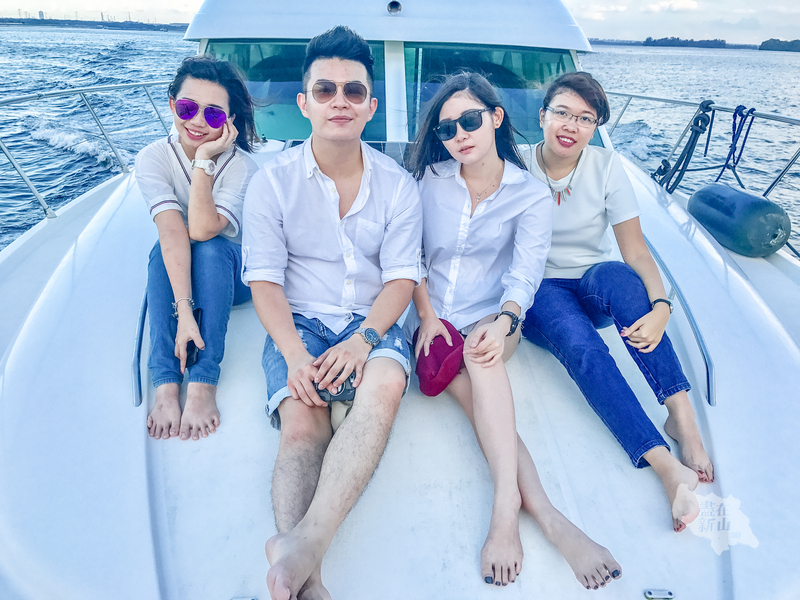 Alongside with other charter in Senibong Cove, Million Yacht is proud to present to you their very own luxury Yacht namely ELLY! 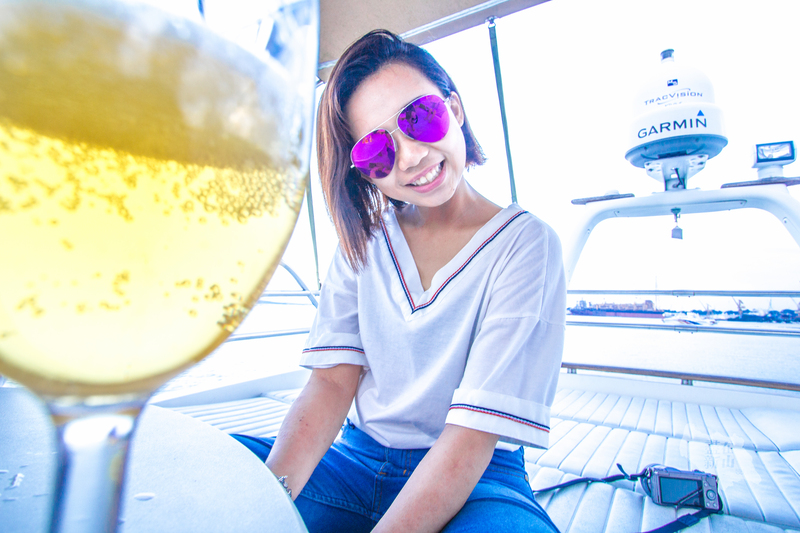 She will bring you for a breathtaking sea-view sail and gives you a chance to break free from the usual land-locked platform to hold your parties. 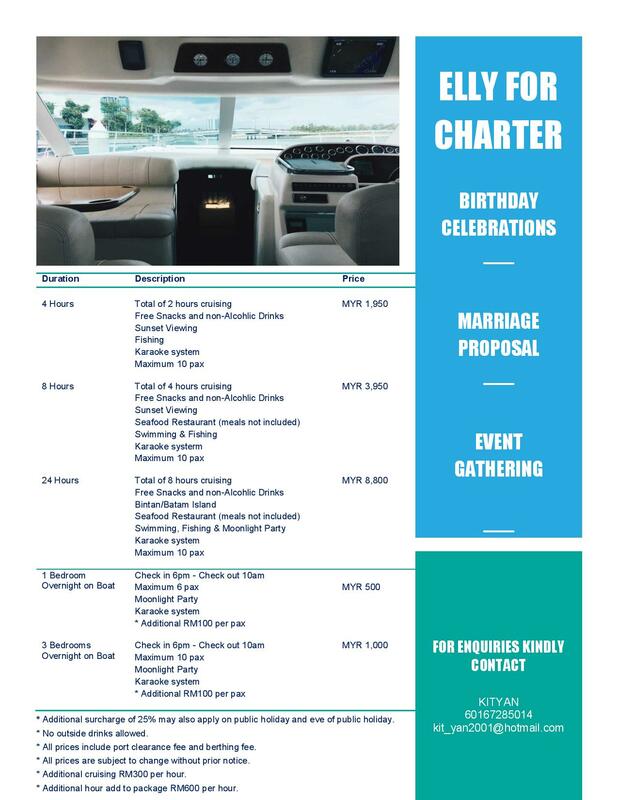 Be it Birthday parties, friends and family gathering, annual corporate vacation, or wedding celebration, ELLY will definitely be your first choice to rock the luxury life! There are multiple spacious chill out sofa that can cater to up to 10 people! Perfect for a great chit-chatting session with your travel buddies; good place to play bonding games, get on your mic and sing your heart out! 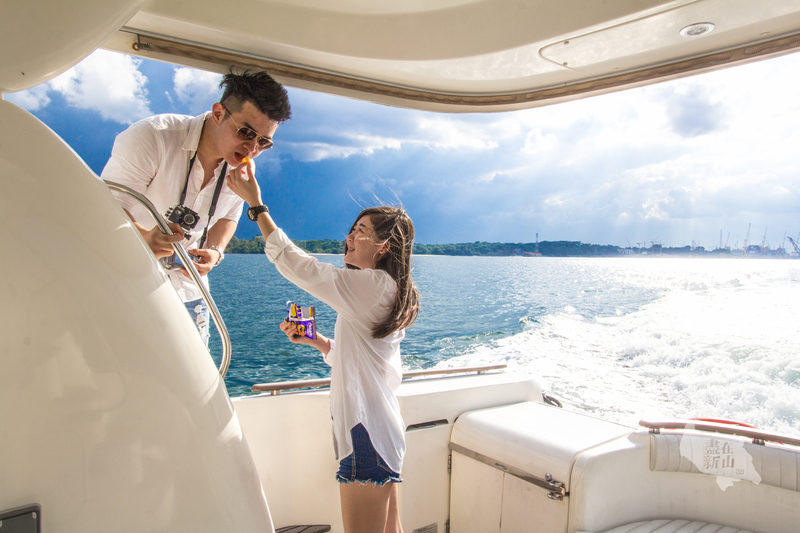 Besides that, there will be snacks and tidbits available for you to munch on during your sail! Outside food is allowed here as well! 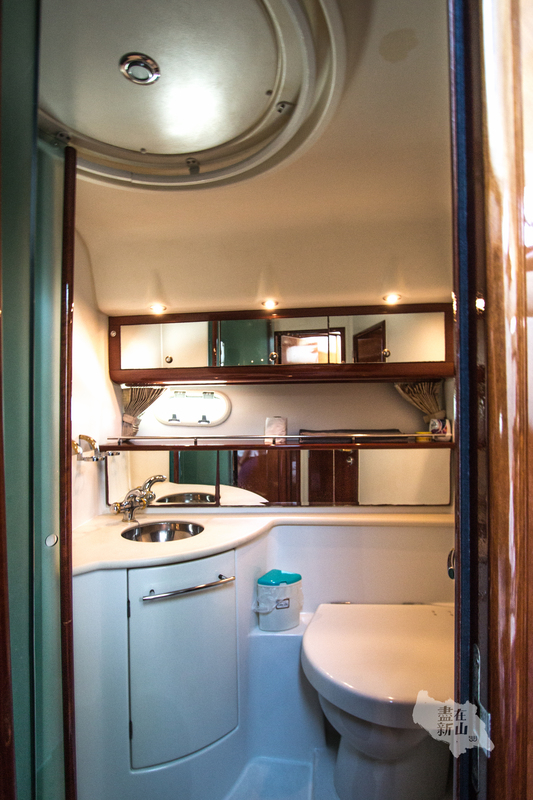 There are a total of 3 bedrooms in ELLY Yacht! 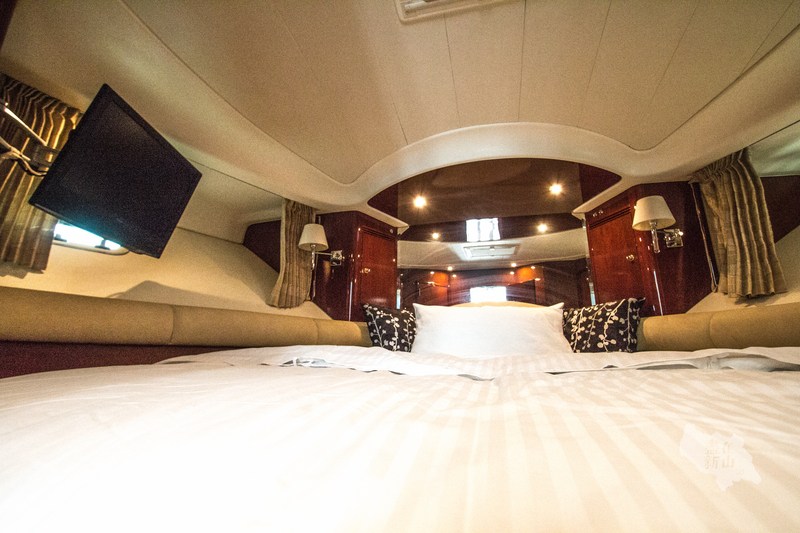 The master bedroom comes with comfortable Queen-sized bed which is suitable for couples to have a rest during the sail. 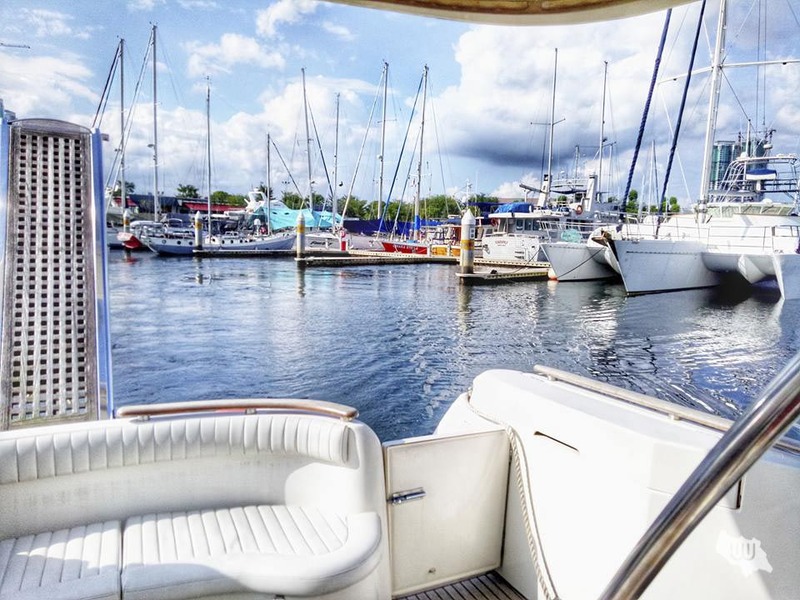 The master bedroom is directly linked to the top dock of the Yacht, which is also a short cut to view the pretty seaview! 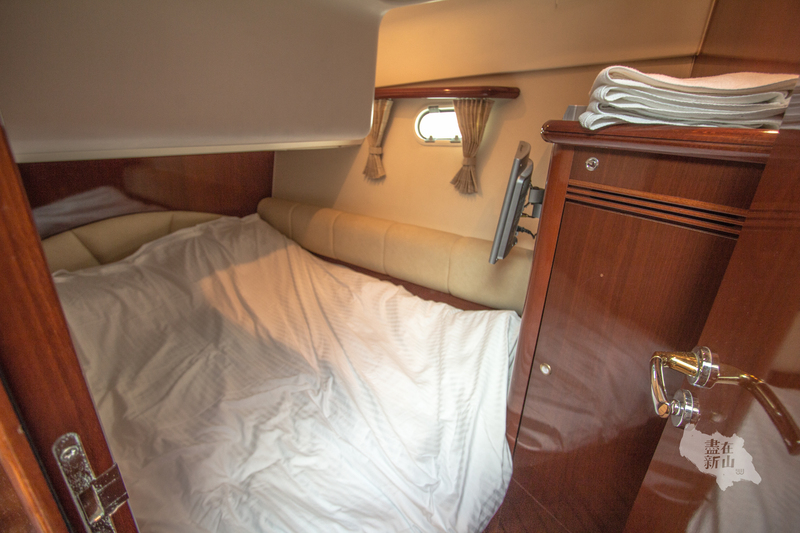 There is also two other smaller bedrooms for us to take a nap during the sail / overnight stay! The room is so comfortable with cooling air-condition and a peek view of the sea outside! 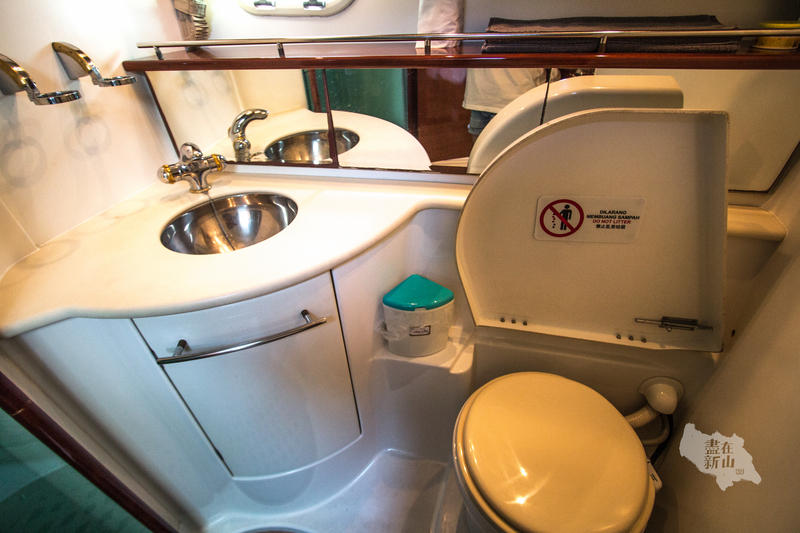 Of course, there will be washroom available here and it is so luxurious that it looks like a 5-star hotel one's! A friendly reminder as well, you are not allowed to throw any waste tissues / papers into the toilet bowl so that it won't clog! 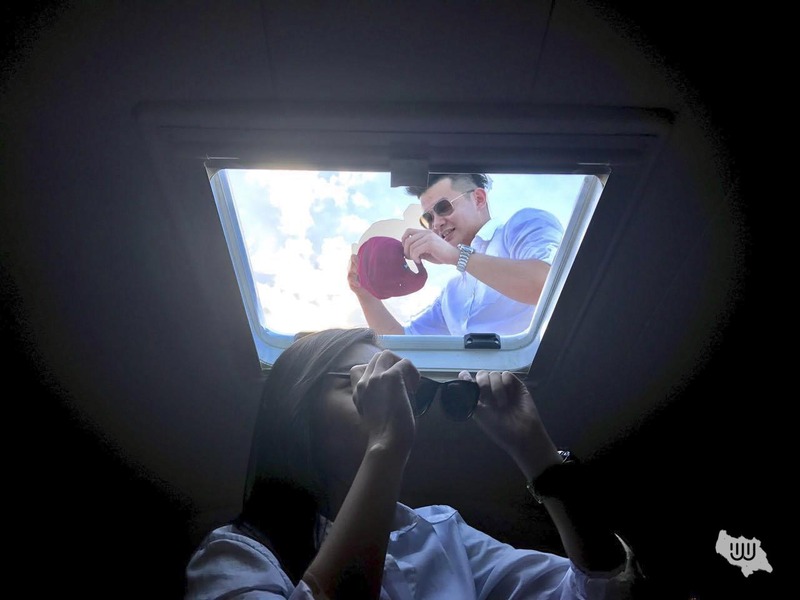 Who says photoshooting should only be done at the front or top of the Yacht? ELLY's external sofa is great for a good chill and good for photoshooting as well! What is a getaway without singing your lungs out? 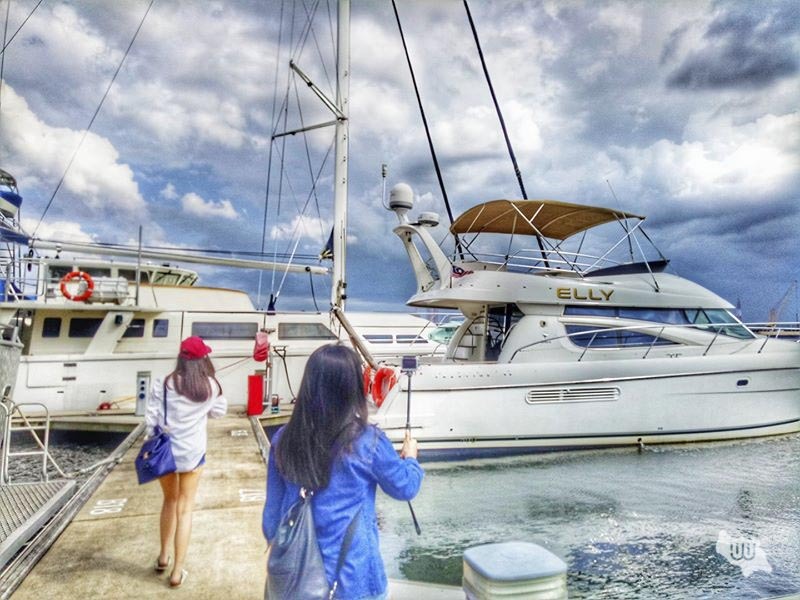 ELLY Yacht provides you great facilities to sing all you want! 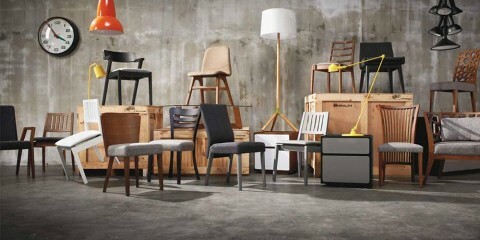 From oldies to trendy pop songs, it is all in the list. They will be constantly updating the list as well! 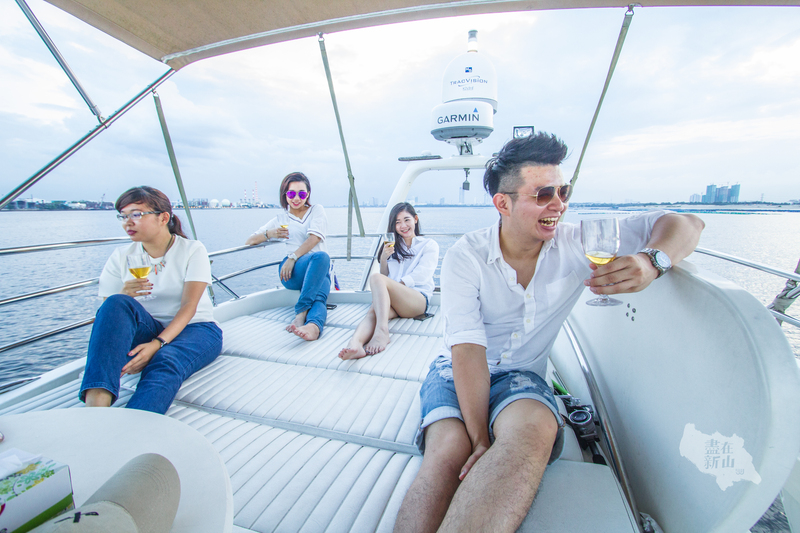 Be sure to have a singing battle with your buddies to spice up the entire yachting experience.  Get ready your camera and capture the most beautiful "Arts" right in front of you. 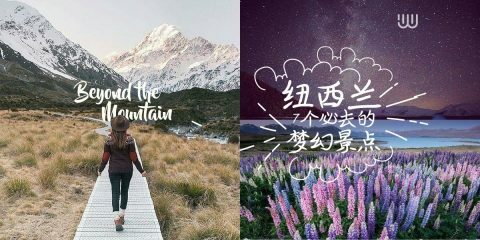 Keeping it as your memory so that one day when you look through the album, you would smile at the wonderful places you have been to! The eye-catching stunning scenery are just spectacular isn't it? 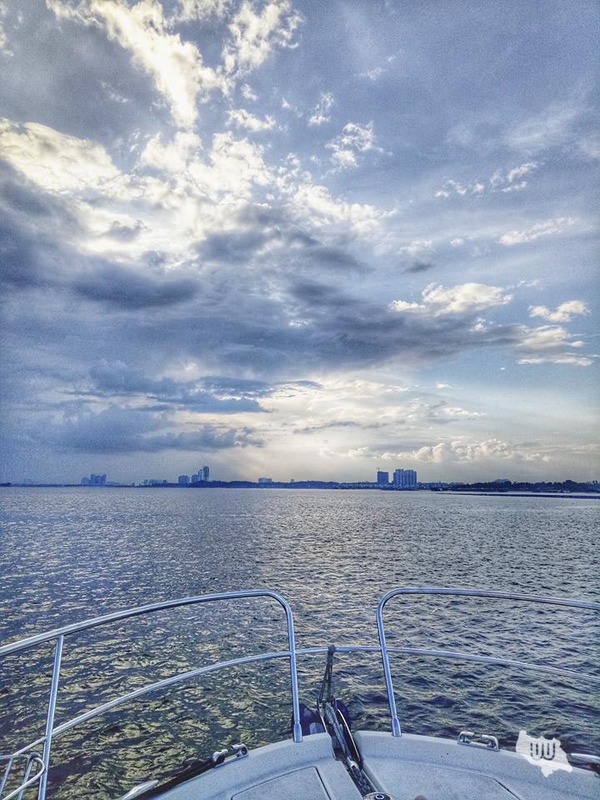 Yacht charter packages for sunset viewing, full day trip, or overnight trip are now available! Time to bring ELLY out for a trip with your friends and family! 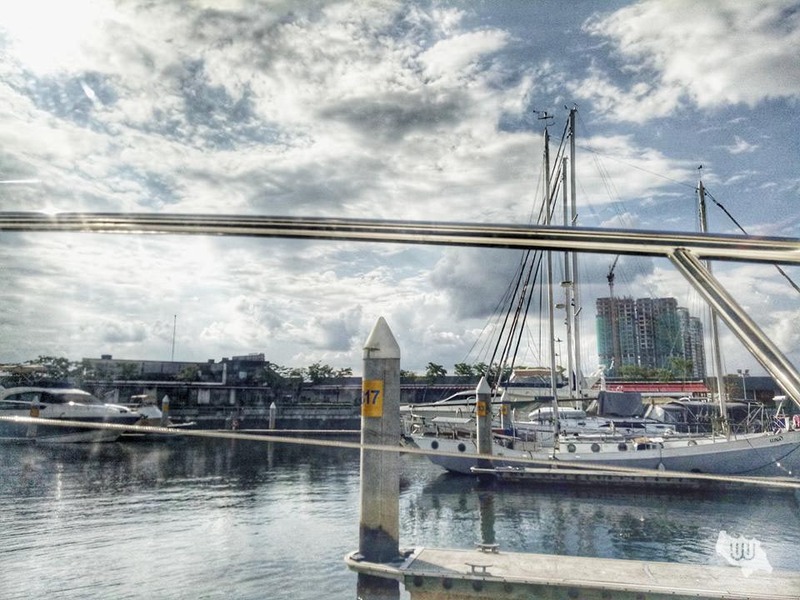 Are you beginning to feel tempted after seeing how our team had so much fun on board? 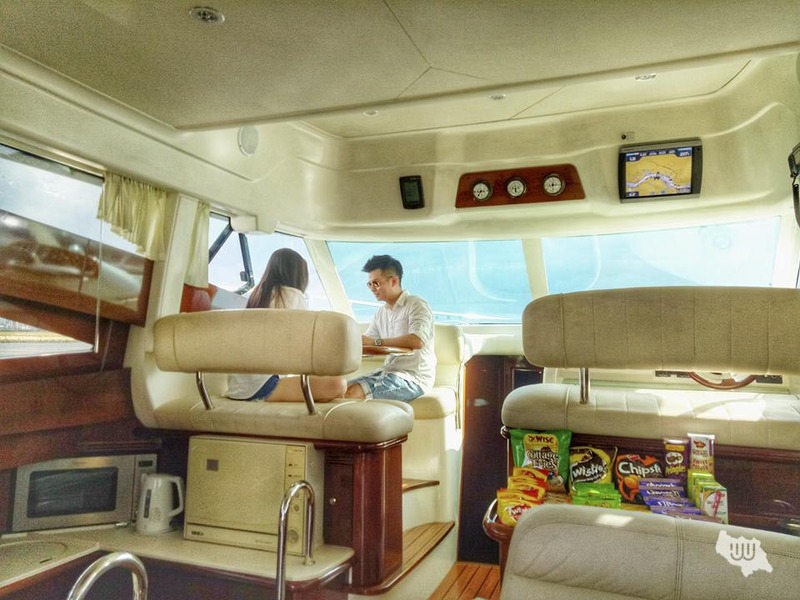 It is only RM1950 for a 4 hour trip out to the sea! 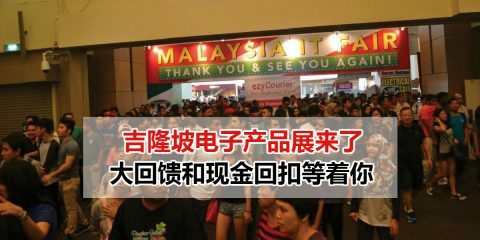 So, do not hesitate to drop them a message or call at 0167285014 if you have any enqueries!